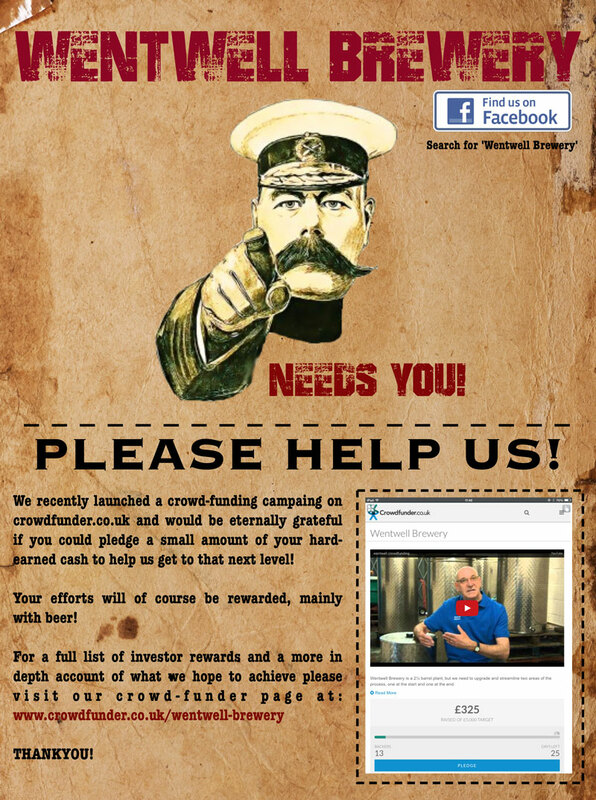 Successful Derby-based Wentwell Brewery have launched a crowd-funding campaign to finance upgrades to their existing equipment. Set up in 2010 and having already self-financed a move from a 0.5 BBL kit located in a domestic garage to a 2.5 BBL plant, Wentwell also has 2 pubs of its own and would like to be in a position where it can not only meet demand from its own outlets, but also supply its beers to the wider free trade. In this case, rather than again upgrading their kit to something larger right away, it is seeking to make its existing kit more efficient. By introducing a new electrically-heated hot liquor tank, and a new heat exchanger to cool the wort, Wentwell will be able to increase output significantly. Backers of the project can expect to receive bottles of exclusive Wentwell beers in return for parting with their cash and a number of different levels of pledge tiers are available, each with their own reward level. To be eligible for a reward, backers only need to pledge £10 or more. The higher the pledge, the beerier the reward! Realale.co.uk would like to wish George and his team all the very best with their funding project and we hope they get the support that they deserve.